Flaunt Your Natural Beauty! Whatever your skin color is, it doesn't matter. Be confident, smile and flaunt it. Natural is beautiful. When it comes to makeup, women have a connection that's undeniable. That's because cosmetics were used since ancient times, its role evolve over centuries. Being a social status symbol, that mark it's commonness, it is now used as a tool for enhancing beauty. Makeup is a woman's secret weapon for a job interview, formal gathering and just for an everyday look. Also, it breaks a woman's insecurities and boredom. It makes her more confident and bold. Isn't it also important to take care of what's beneath? After all, a fresh skin is always in style. To help you take care of your natural look with ease, use Vitamin-E.
Vitamin-E contains 400 IU. IU is a International Units that measures biological activity of food and dietary supplements as a substitute in quantity. 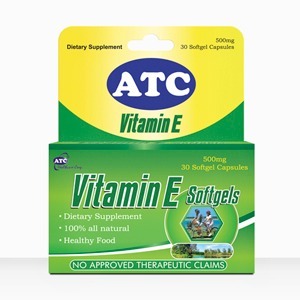 Vitamin E is an anti-oxidant that protects the cells against free radicals. It gives our skin a beautiful, youthful and effortless glow. It works from the inside making you FEEL and LOOk great! It' essential in maintaining functions for our heart, blood vessels and nervous system. Also, it boost our immune system. Take care of what’s beneath and be naturally beautiful with Vitamin-E.
Vitamin-E is recommended to be taken one capsule per day. Vitamin-E is SRP P14.00 per soft gel capsule. Available at Mercury Drug and all other leading drugstores nationwide.